In her continuous research for precious materials and after the success of Big Hero Wool (we wrote here about it), Bettaknit has accepted your requests for a giant yarn that could be even more surprising. 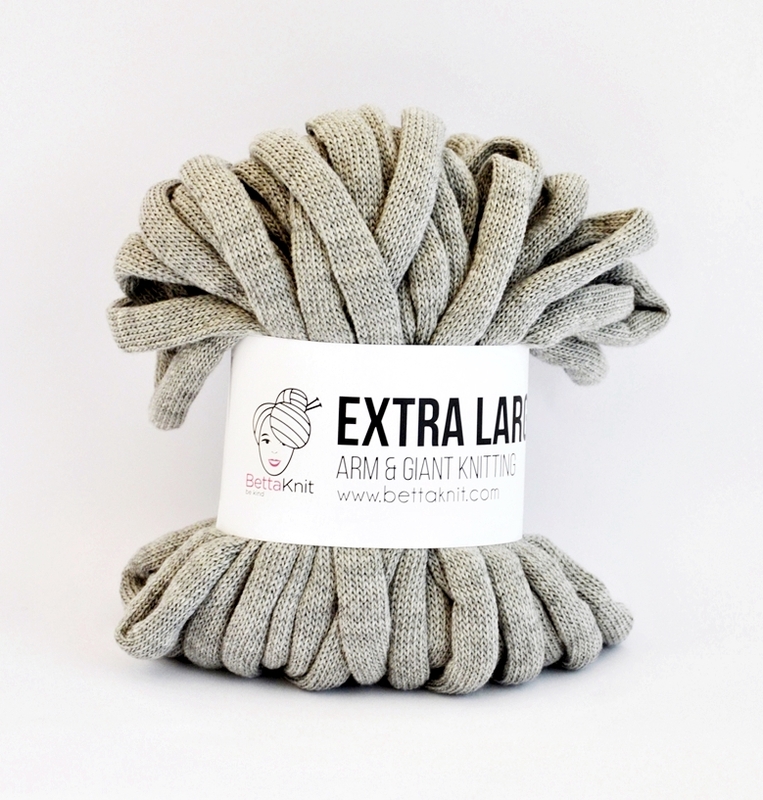 This is how EXTRA LARGE is born: a soft, padded yarn, with which you can create fun Arm Knitting projects for the home and clothing. EXTRA LARGE is a special yarn, a 100% natural wool fiber, worked with a particular spinning process that gives it a unique texture. 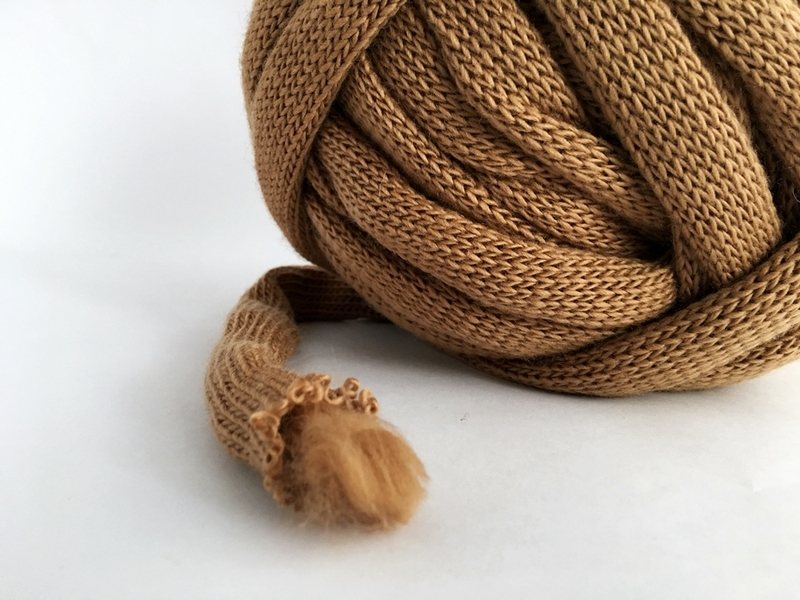 A tubular yarn padded with soft fiber, all in 100% merino wool of excellent quality! A surprising aspect is that finally your jumbo project can be washed in the washing machine! 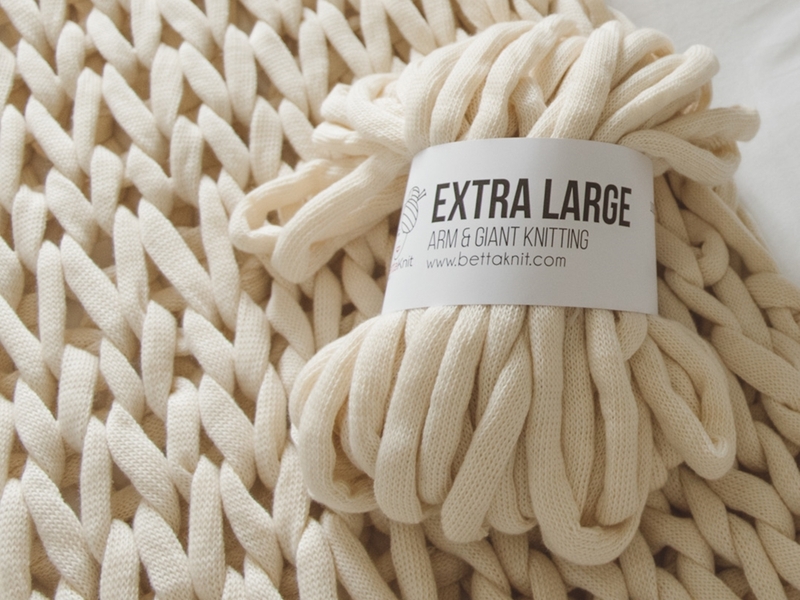 Yes, EXTRA LARGE has in fact been subjected to a Superwash treatment, which allows washing the yarn in the washing machine at low temperatures. Available in 500 gr skeins (30 mt/32,8 yd), EXTRA LARGE giant wool is perfect to be worked with your hands, with the Arm Knitting technique ((you find many video tutorials on our channel YouTube), but also with Giant Knitting, then using crochet hooks or knitting needles, as for the brand new XXL HAT hat and its XXL SCARF scarf. The colors currently available are the warm and welcoming shades of Natural, Grey and Camel. Colors that match well each other and that are a must in the interior design of any style and time. With the new Home Decor projects, you can really have fun creating something unique, what are you waiting for? Start now with the XXL BLANKET! A blanket in giant yarn that you can finally wash in the washing machine!